Two superb sets from The Bob Simpson U.S. Pattern Collection, the Morgan half dollar patterns of 1877 and $4 Stellas in all metals, will be displayed at the Professional Coin Grading Service (www.PCGS.com) booth during the American Numismatic Association (ANA) Chicago World’s Fair of Money (www.worldsfairofmoney.com), August 11 – 15, 2015. 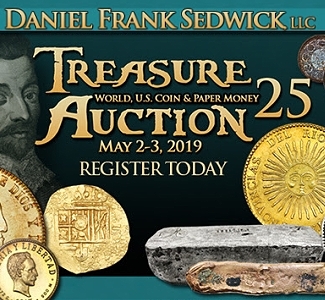 These two sets are ranked as both the current and all-time finest of their kind in the PCGS Set Registry®, and this will be the first time they will be publicly exhibited. 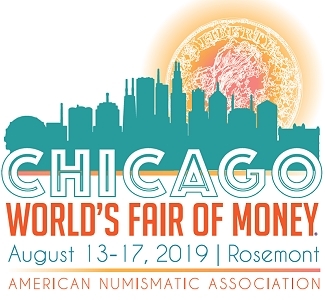 The coins will be displayed courtesy of collector Bob Simpson of Texas and Legend Numismatics of New Jersey. While supplies last, visitors to the PCGS booth (#601) can receive a free, illustrated educational brochure about these two historic sets. “Bob Simpson has amassed what is probably the most extensive collection of U.S. patterns ever assembled. Out of a total of 1,176 patterns he has listed in the PCGS Set Registry, 779 are ‘Top Pop’ and 641 coins are the single finest specimens graded. PCGS is pleased to share with the public a small portion of Mr. Simpson’s extraordinary collection at the upcoming ANA convention,” said PCGS President Don Willis. “The U.S. 1877 Morgan Half Dollar Patterns set is 90 percent complete with 18 of the 20 coins required for a complete set. It has a weighted grade point average of 68.71,” explained BJ Searls, Director of the PCGS Set Registry. “Mr. Simpson’s 1879 – 1880 U.S. Patterns $4 Stellas All Metals set includes an amazing 13 of the 15 required coins; a level of completion that is unprecedented. The weighted grade point average is 68.5, and nine of the 13 coins are Top Pops,” added Searls. 1877 pattern half dollar (J-1512), graded PCGS PR66+ Deep Cameo. The original creation of the pattern half dollars and $4 denomination coins is interesting for numismatists. In 1877, United States Mint Engraver George T. Morgan began testing new designs for half dollars with the intention of eventually using them on silver dollars beginning in 1878. Today, Morgan dollars are among the most popular of all United States coins. “This explains why his 1877 Half Dollar Patterns look so familiar to us today. The head he used on the 1877 coins is a miniature version of what eventually appeared with modifications on nearly half a billion silver dollars from 1878 to 1921,” said Ron Guth, President of PCGS CoinFacts. “The real beauty of this series, however, comes from the fabulous reverse designs, all of which revealed this engraver’s incredible talent,” Guth stated. Highlights of Simpson’s Morgan 1877 Half Dollar Patterns collection include Judd-1511 graded PCGS PR66 Red and Brown; J-1512, PCGS PR66+ Deep Cameo; and J-1516, PCGS PR 66 Deep Cameo. 1880 Flowing Hair $4 “Stella” (J-1657), graded PCGS PR67 Cameo. The Stella, a $4 denomination gold coin co-designed by Morgan and Charles E. Barber, was originally intended for use in international trade. 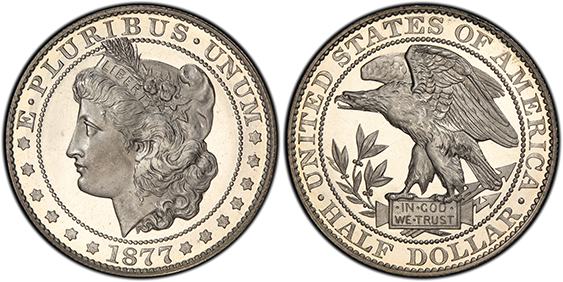 Before the plans were abandoned, a small number were experimentally struck in 1879 and 1880 with two different Flowing Hair and Coiled Hair obverse designs. A few patterns also were struck in copper, white metal and aluminum. “Save for the Amazonians, there is no other pattern series as captivating as the Stellas. To have them in all metals is spectacular. The Mint truly created a special coinage for the time,” Simpson stated. 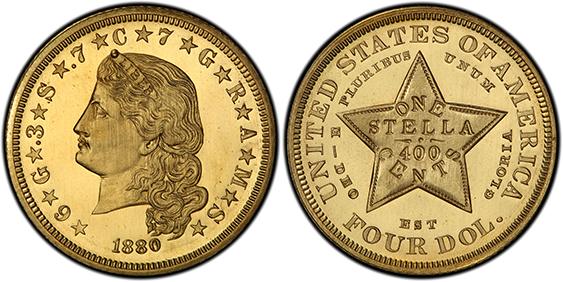 Highlights in the Simpson Stella collection include 1879 Flowing Hair J-1635, PCGS PR65 Cameo; 1879 Coiled Hair J-1638, PCGS PR66+ Cameo; and 1880 Flowing Hair J-1657, PCGS PR67 Cameo. 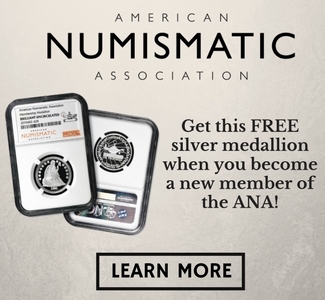 Professional Coin Grading Service was founded in 1986 by distinguished numismatic experts, and now has offices in California, Shanghai, Hong Kong and Paris. PCGS experts have certified over 30 million coins with a total market value of over 29 billion dollars. PCGS represents the industry standard in third-party certification, and is a division of Collectors Universe, Inc. (NASDAQ:CLCT). For additional information about PCGS products and services, call 1-800-447-8848 or email info@pcgs.com.